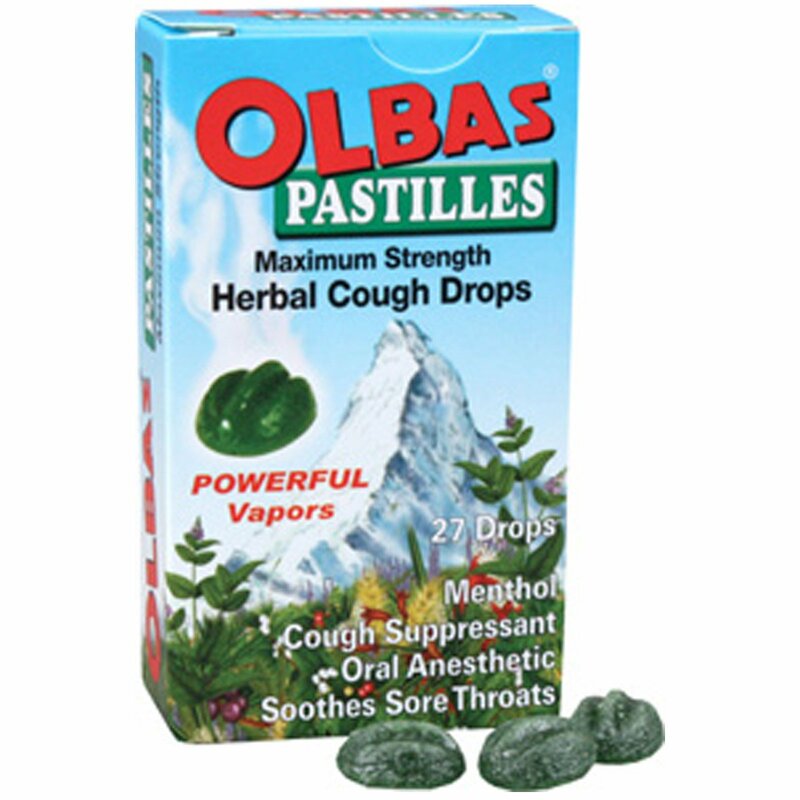 Provides instant, cool, soothing relief for sore throats and fight coughs. Powerful, soothing vapors quickly cool your nasal passages. An effective formula made from soothing herbs and chlorophyll. Also helps fresh your breath! Suitable for use by those on gluten free diets as well as vegetarians. Cough due to minor throat and bronchial irritation occurring with the common cold or inhaled irritants. Occasional minor irritation, sore mouth, and sore throat. Adults and children 3 years and over: Dissolve drop slowly in the mouth. Repeat every 2 hours as needed, or as directed by a doctor. Children under 3 years of age: ask a doctor. Inactive Ingredients: Chlorophyll, clove oil, eucalyptus oil, glucose, juniper berry oil, modified starch, sucrose, wintergreen oil. Sore throat warning: If sore throat is severe persists more than 2 days, is accompanied or follwed by fever, headache, rash, swelling, nausea, or vomiting, consult a doctor promptly. Persistent or chronic cough as occurs with smoking, asthma or emphysema. Cough that occurs with excessive phlegm (mucus). Cough persists for more than 1 week, tends to recur, or is accompanied by fever, rash or persistent headache. A persistent cough may be a sign of a serious condition.